The LP-5231 model is equipped an AM3352 CPU (720 MHz). It uses a Linux operating system (Linux Kernel 3.2.14) which is a compact and real-time OS used to quickly create time critical and high performance applications. 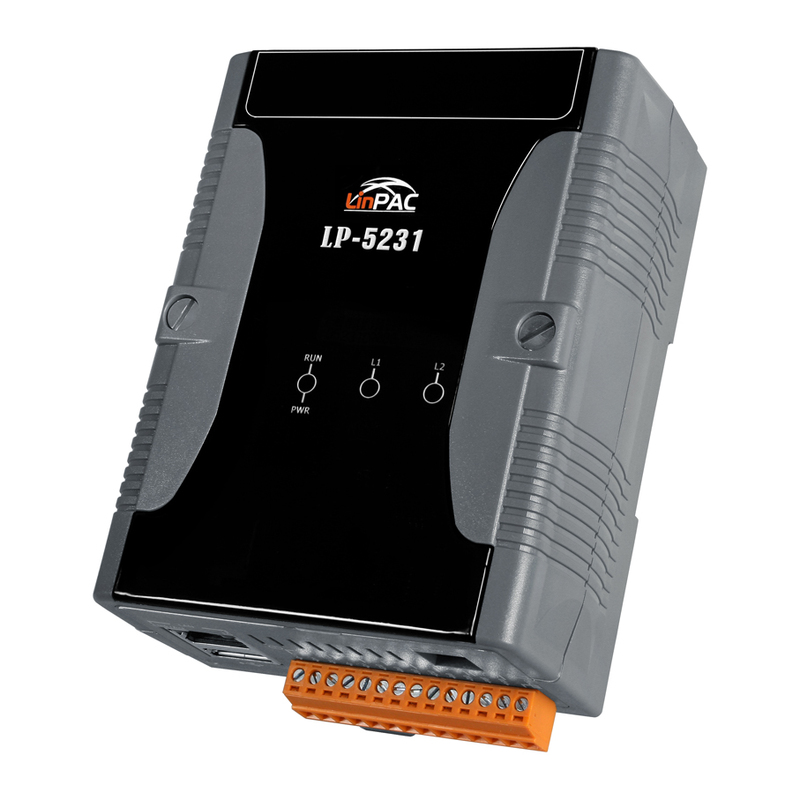 The main advantages of the LP-5231 device are its high quality control system, stability, small core size, customizable (optional) I/O expansion board, great support for Web services (Web / SFTP / SSH server) and multiple development environments (LinPAC SDK for Linux and Windows environment using the GNU C language, GUI software). 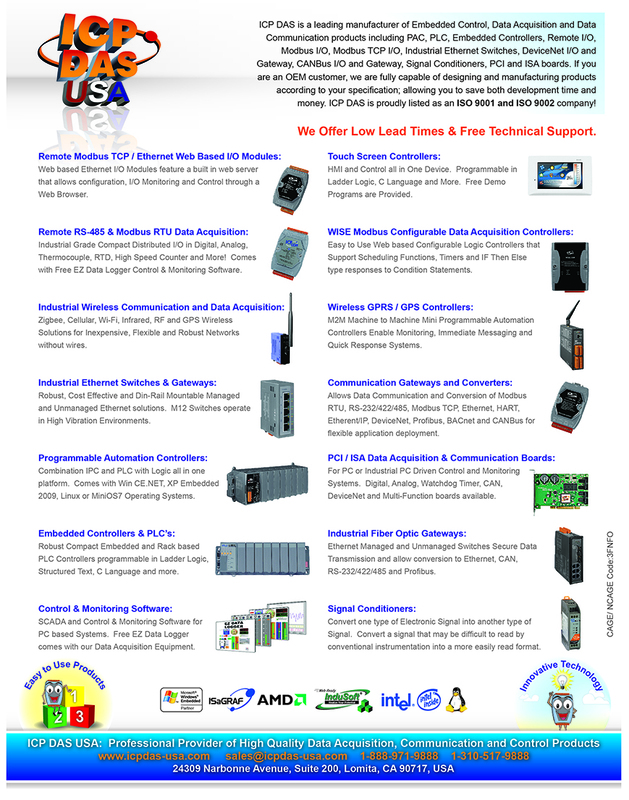 All of these advantages give you the best features of both traditional PLCs and Linux capable PCs, meaning that it is one of the most powerful and flexible embedded control systems available.